THE LEVANT EXCLUSIVE – By Catherine Shakdam – The terror Titan, the unstoppable sprawling monster which managed to overtook and blindside Iraq armed forces and send thousands of soldiers running for the hills, ISIL – the Islamic State of Iraq and the Levant – now known as IS – the Islamic State – is a the radical son of Al Qaeda, the other infamous Islamic radical group. While both groups might appear to the naked eye to work towards the same goal – the establishment of an almighty Islamic Caliphate which would encompass all territories and suffer no contention to its rule – Al Qaeda and IS are rather different in their ideology and even their make-up. 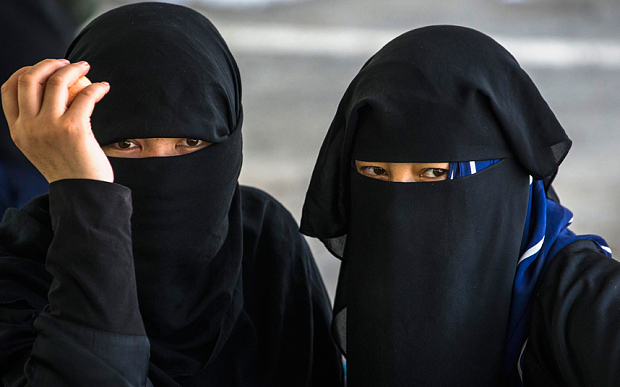 While both groups support the same Islamic radical vision and a common ideal – the creation of a Caliphate, their Modus Operandi and structures are not at all similar. If media have been keen so far to associate Al Qaeda and IS to the point where many people have used their names interchangeably, not understanding the inherent differences between the two, since both advocate murder and bloodshed as holy weapons of war, it is absolutely crucial to clearly differentiate them, if ever one is to hope to defeat them. It would be ludicrous to believe that because IS has based its ideology on a radical and unforgiving interpretation of Islam, its core ethos revolving around the killing of all infidels, in a pattern of thinking similar to that of Al-Qaeda, the same counter-terror methods could be used to destroy it. If regional powers and beyond them, the international community, hope to destroy the Islamic State, it has become clear that a change of strategy would be needed; especially bearing in mind that it was Washington’s failure to address rising radicalization in the Middle East and Central Asia which has led to the birth of IS, a group which has managed by the sheer brutality of its campaigns to force Al Qaeda to disavow its legitimacy. Many analysts, among whom Kevin Barrett, Gordon Duff, David Icke, Yuram Weiler, have actually argued that IS is but a western fabrication, Saudi Arabia’s brainchild, a weapon of war devised to sow terror in the region to better justify the return of foreign troops on the ground and the subjugation of an entire people under the pretence of fighting Islamic radicalism. To better understand what differentiates Al Qaeda from IS one needs to rewind the clock to February 2014 when Al Qaeda commanders explicitly rejected any affiliation to the then-Islamic State of Iraq and the Levant, a fracture which was understood as proof that both factions had severe ideological divergences. Interestingly, such unequivocal rejection of everything which is ISIL was never reneged upon. Even though IS has proven far more successful in its campaigns than its counterpart, Al Qaeda, Al Zawahiri has always refused to review his position. But this schism in between both terror groups far predates February 2014, it all started in 2013, when Al Nusra Front – Al Qaeda official Syrian branch – came to clash with unruly ISIL militants. 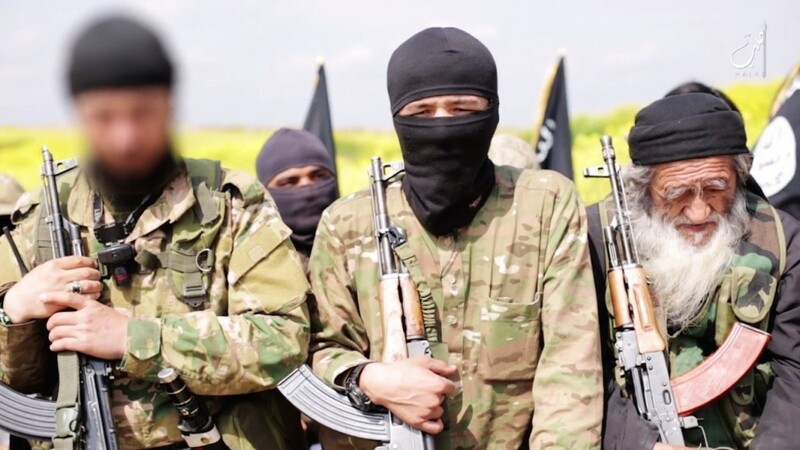 All indications suggest that it was Al Nusra Front leader Abu Mohammed Al Golani’s mutiny against Abu Bakr Al Baghdadi – leader of ISIL -, the man who originally sent Golani to Syria which unravelled the terror alliance. This is not actually the first time that Al Qaeda has disowned ISIL, but this time the disagreement appears to be permanent. But why two groups which appear to share a common ideology and common goals would chose to fight each other when they could team up and stand united against their enemies? Are Al Qaeda and the Islamic State really fighting over leadership and power? Or does the divide runs deeper? In IS’s mind Al Qaeda is an apostate group, and as such should be annihilated. Rather than make it a political issue, IS has purposely chosen to make it a fight of ideologies, thus hoping to claim moral high ground. While Al Qaeda and IS were born from the same terror cauldron both factions have evolved very differently, both running a campaign with different goals even though the end-game might be similar. As often the devil lies in the details. Still not seeing the difference? Both groups are dreaming of a different Islamic Caliphate. The Islamic State of Iraq was established as a peacetime rather than a wartime structure. According to a Salafi cleric Mohammed Adnan, “There are two types of emirate/caliphate in the Salafi doctrine — a general Islamic emirate, that is, a Muslim state under the authority of a caliph, as it was in the time of Prophet Mohammed; and a special Islamic emirate, which can be either for jihad and proselytizing, or for governing.” This would be the source of the dispute between ISIL and the rest of the terrorist factions, or so Islamic experts have claimed. Al Baghdadi saw himself as not the emir of a group but rather that of a state. Where Al Qaeda wants to liberate Muslim lands from whatever oppressors they imagined, leaving the creation of a state to a much later time, Al Baghdadi aimed to give his “state” an axis from which to launch his invasion campaigns. The “governing emirate/caliphate” that Al Baghdadi declared is meant to manage the affairs of the Muslims in the ISIL-controlled areas, while the Jihadi emirate/caliphate, by contrast, would focus on combat until the enemy is defeated, and does not concern itself with managing the affairs of the people. Where Al Qaeda remains the eternal crusader, IS would be the colonial force. Such a startling difference can actually be seen in the way and manner both groups conduct in battle. Where Al Qaeda has stuck to its guerrilla tactics, in perfect alignment with terror groups’ modus operandi, the Islamic State has acted and behaved as an army. This explains why ISIL managed in June to completely over-run Iraq armed forces and put large swathes of lands under its direct control in northern and western Iraq. In only a few weeks ISIL did what Al Qaeda could not achieve in Yemen in a decade. 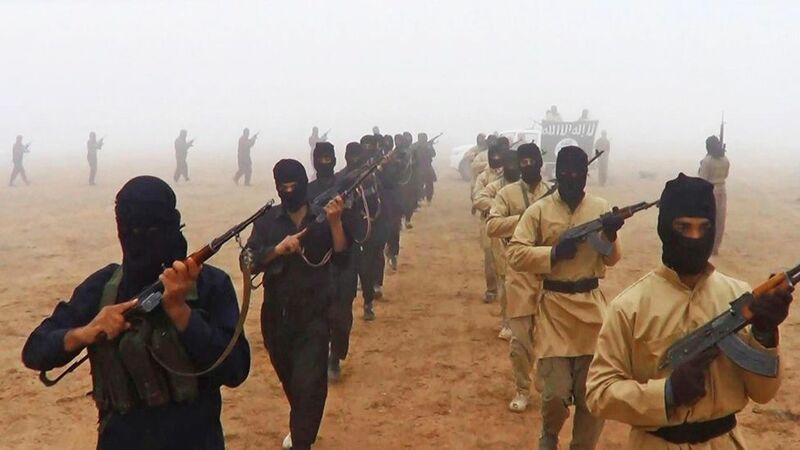 A cohesive force, a well-equipped, well-funded machine of war, the Islamic State has reinvented itself as a terror army, a military power capable of challenging a sovereign state in frontal attacks. Where Al Qaeda has always favoured targeted assassinations and terror attacks — suicide bombing, sabotage attacks and so on – the Islamic State has staged invasion campaigns and sieges. Where Al Qaeda has remained very tribal in its make-up, often relying on local sheikhs to assert its power, its leadership keen to lean on local institutions rather than create its own to preserve a form of political independence, the Islamic State has instead worked to institutionalize its ideology. Before such terrors one can only hope that the world’s community will set aside whatever divisions they might have and fight together this universal plague.